Posted By:Unknown | At:8:31 AM Be the first to comment! 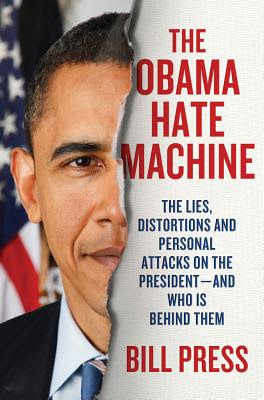 In the new book 'The Obama Hate Machine: The Lies, Distortions and Personal Attacks On the President — And Who Is Behind Them', author and radio personality Bill Press examines the concerted effort that has been formed to destroy the President through personal attacks. Bill also identifies whose behind these attacks---FOX News and the Koch brothers. Many are well aware of FOX News agenda against the President but not a lot of people are aware of the Koch brothers. Bill is the host of the syndicated Bill Press radio show, also heard on Sirius XM Radio.